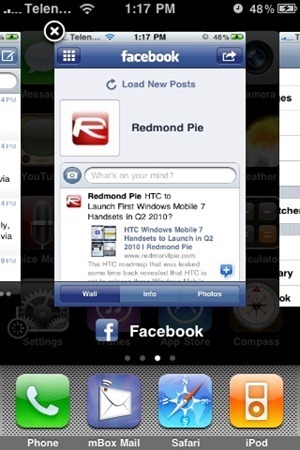 iPhone 4.0 to Support Multitasking? According to the reliable sources at AppleInsider, folks in Cupertino are preparing to finally bring multitasking support in the next version 4.0 of iPhone OS. If this rumor holds up to be true, then Apple can finally silence all the iPhone critiques who have been praising the rival Google’s Android for its superiority in multitasking support; something which iPhone has lacked since day 1 with the original iPhone (EDGE) launch back in 2007. Jailbroken iPhone users may already know about ProSwitcher and Backgrounder apps which enables true multitasking on both iPhone and iPod touch. iPhone itself has some sort of multitasking support for stock apps like Mail, iPod which keeps running in the background while you can browse the web, and do some other work. But you cant do this with all apps unless you are jailbroken. All this is now said to change come this June. The next-gen iPhone along with the new 4.0 firmware is likely to be unveiled at this year’s WWDC conference. It is expected to feature a faster processor, a 5 megapixel camera with LED flash, support for WiFi-N standard and so on. Next Generation iPhone 4G to Feature LED Camera Flash?